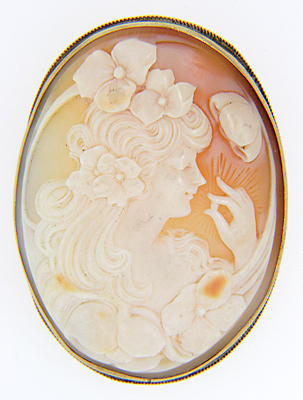 This is an antique 14K carved shell cameo of a flower bedecked woman holding a pearl between her fingers. A very fine art noveau motif. 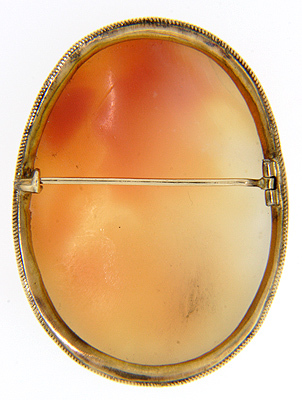 2.0" high by 1.5" wide.